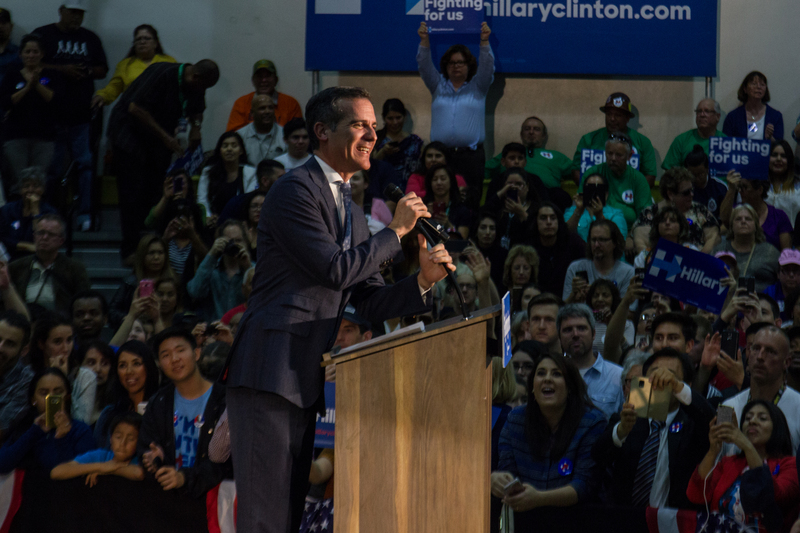 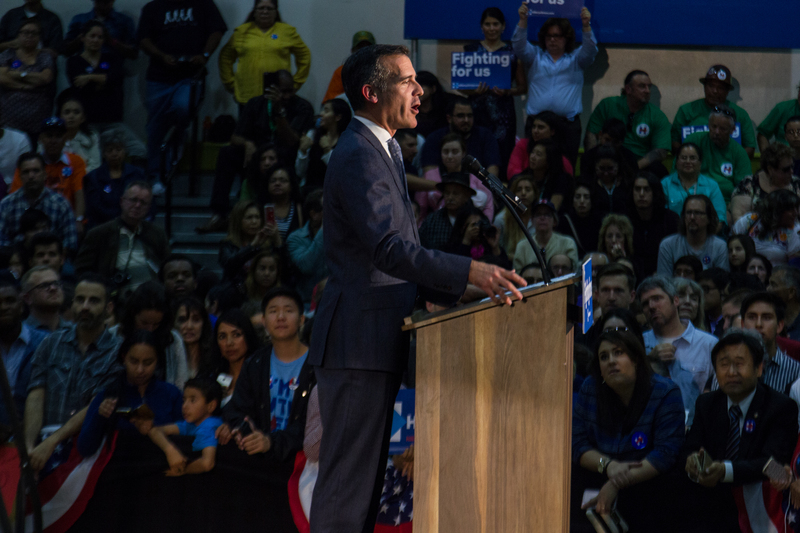 Yesterday I was given credentials to shoot the Hillary Clinton rally at East Los Angeles College. 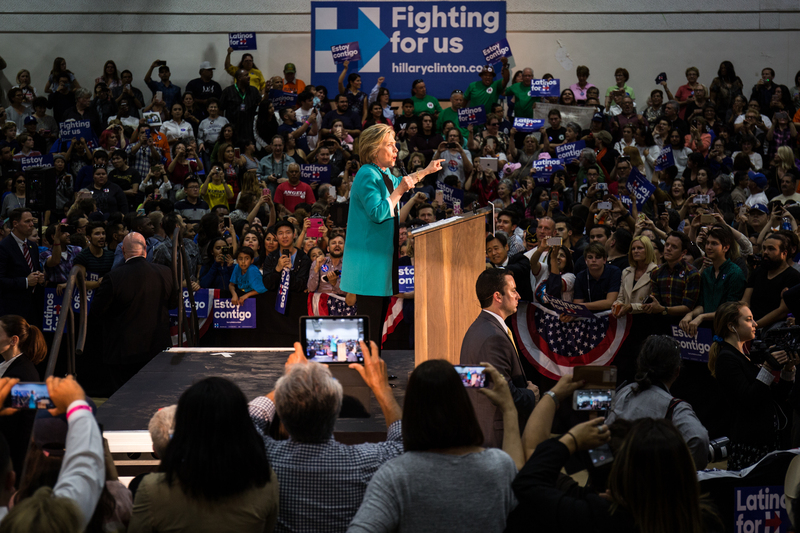 She spoke about immigration, raising the minimum wage, equal pay for women, and opposing Donald Trump. 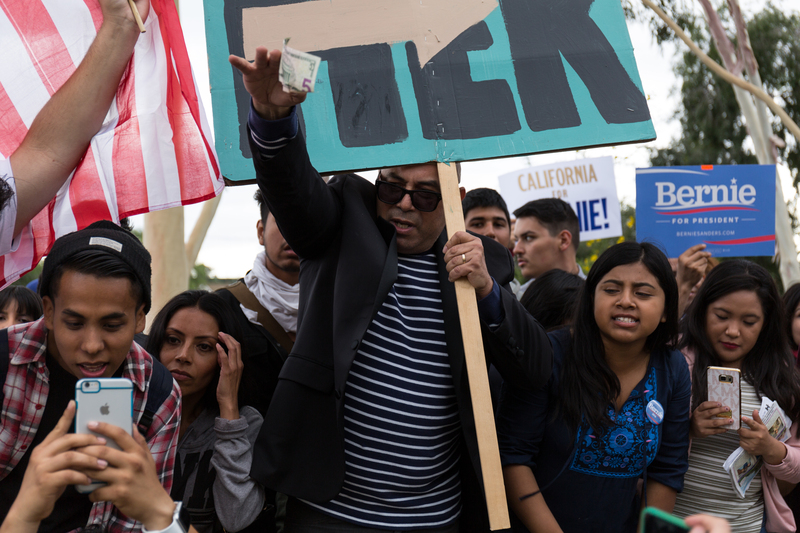 There were a few protesters who interrupted her and were escorted out by police. 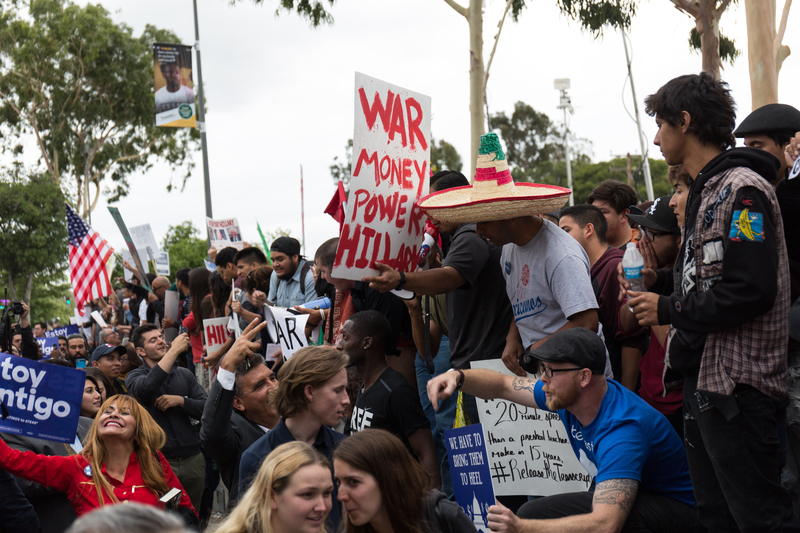 Outside the event pro-Sanders/anti-Clinton protesters marched to the college and stood above the walkway that everyone who attended the event had to exit though. 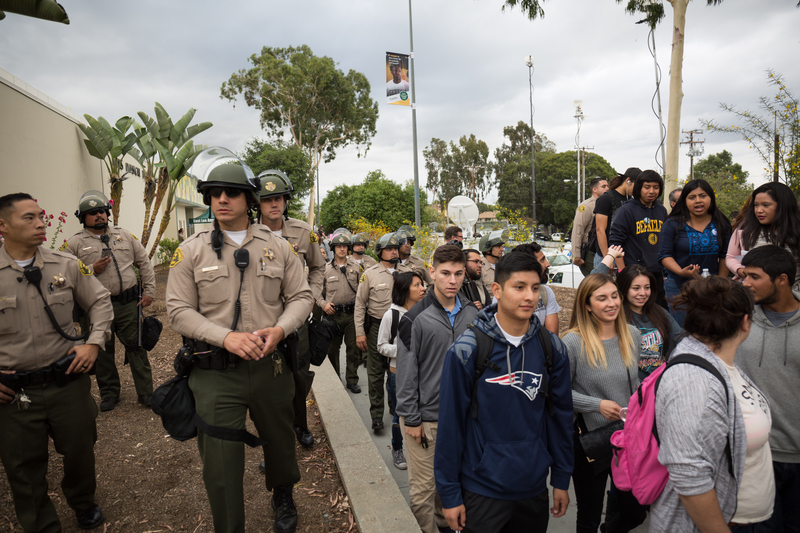 The protest was tense at points, but remained peaceful. 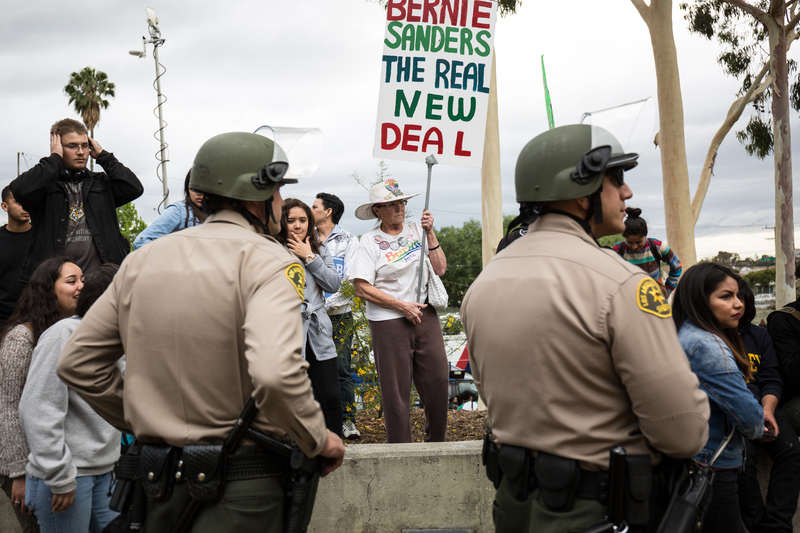 Eventually police in riot helmets slowly cleared everyone out of the area. 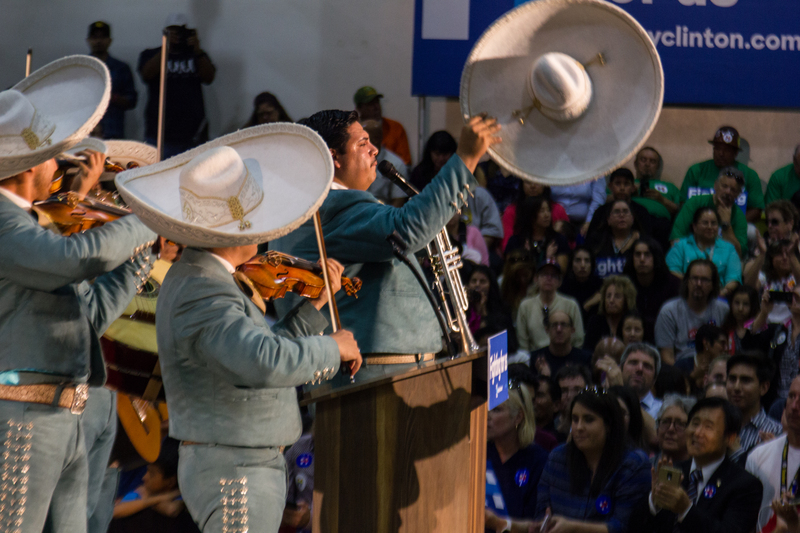 Anyway, this has been a new blog post because I’m still just working for my portfolio and not for money. 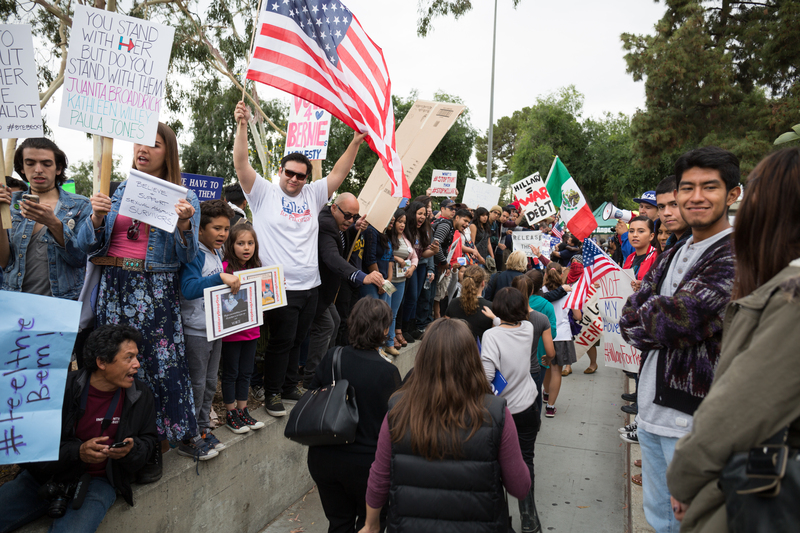 I’ll have a video up of the rally and protest by tomorrow morning. 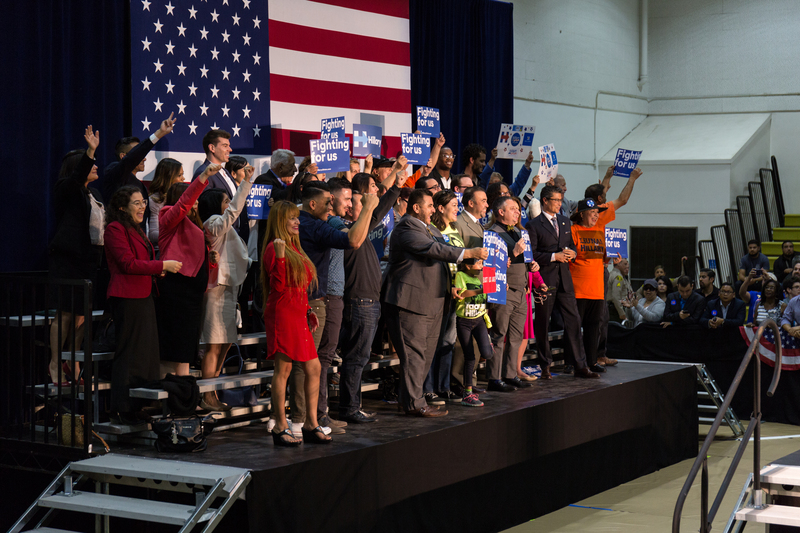 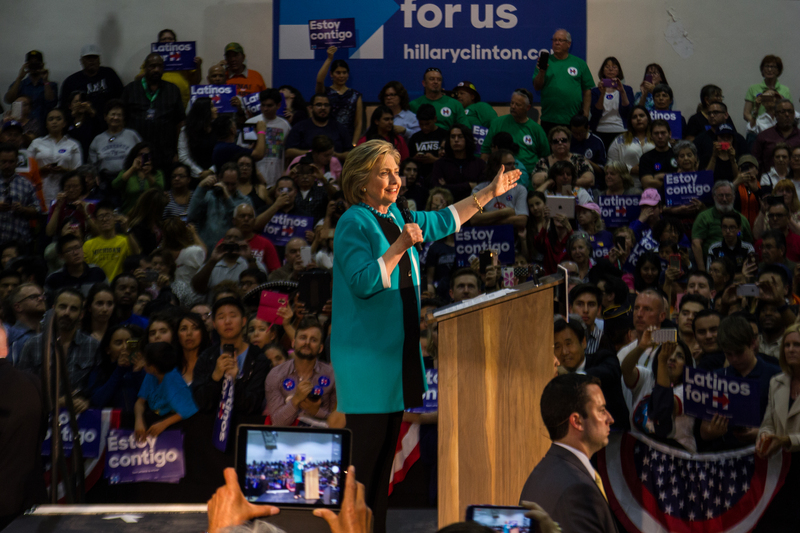 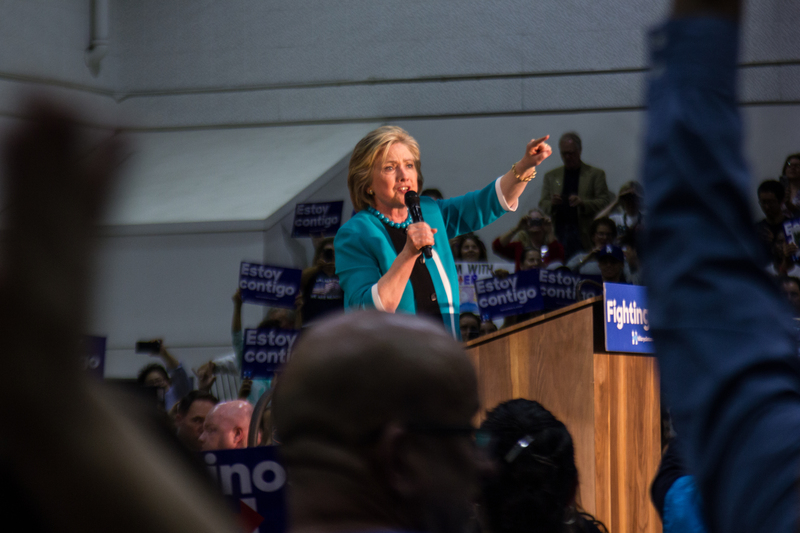 An energetic crowd holding signs that read “Fighting for Us”, stands on a stage behind the podium where Hillary Clinton is going to speak at East Los Angeles College on May 5, 2016. 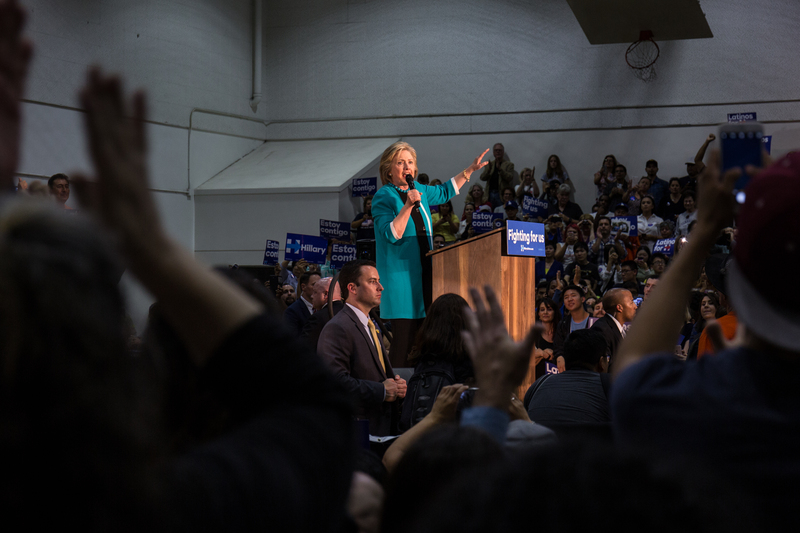 Hillary Clinton gives a speech at her campaign rally at East Los Angeles College on May 5, 2016. 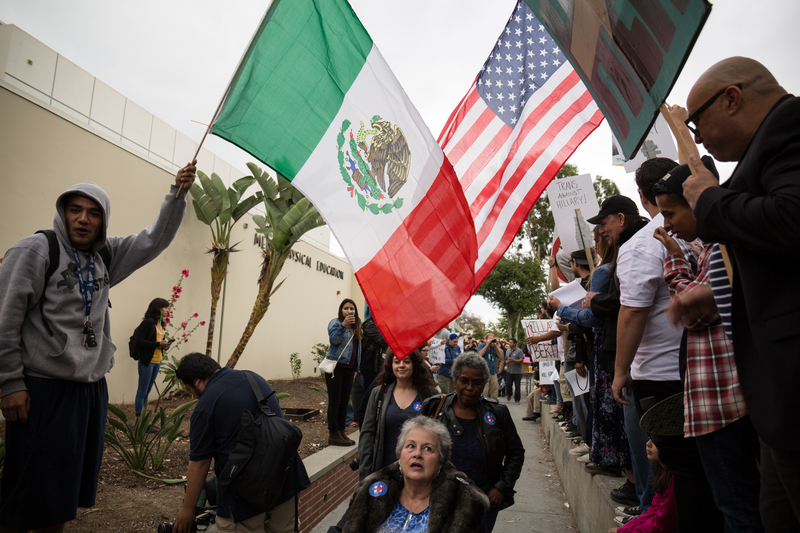 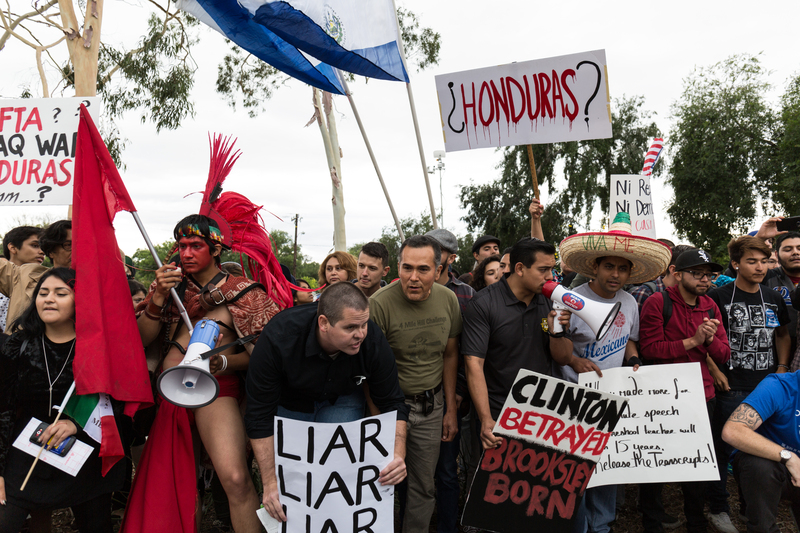 Some Clinton supporters attempted to engage the anti-Clinton protesters as they left the event held at East Los Angeles College on May 5, 2016. 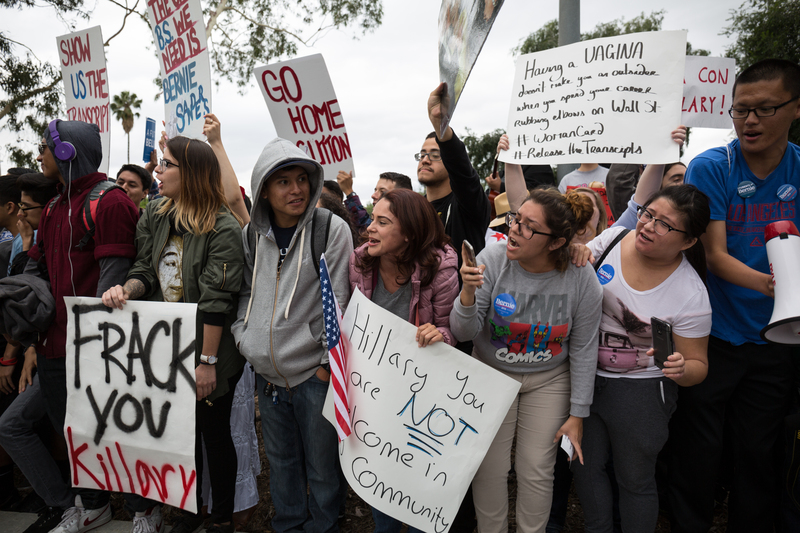 Things were tense between some Clinton supporters and protesters with attendees and police having to separate some heated arguments. 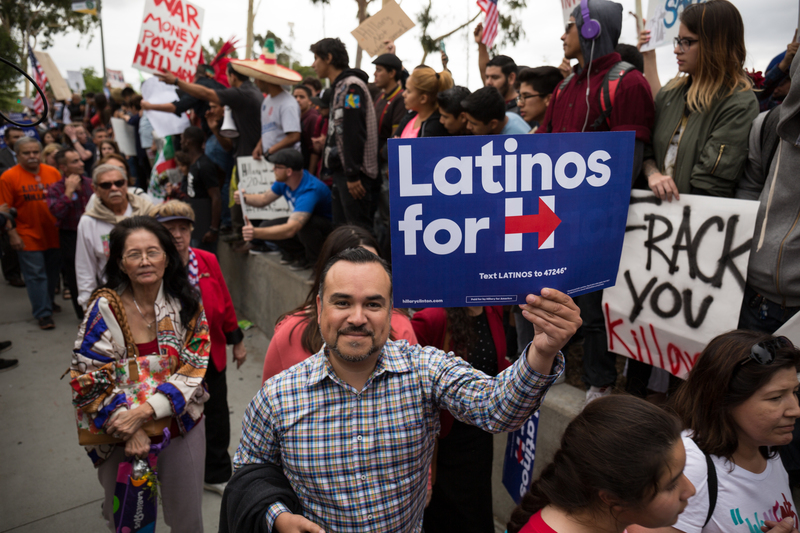 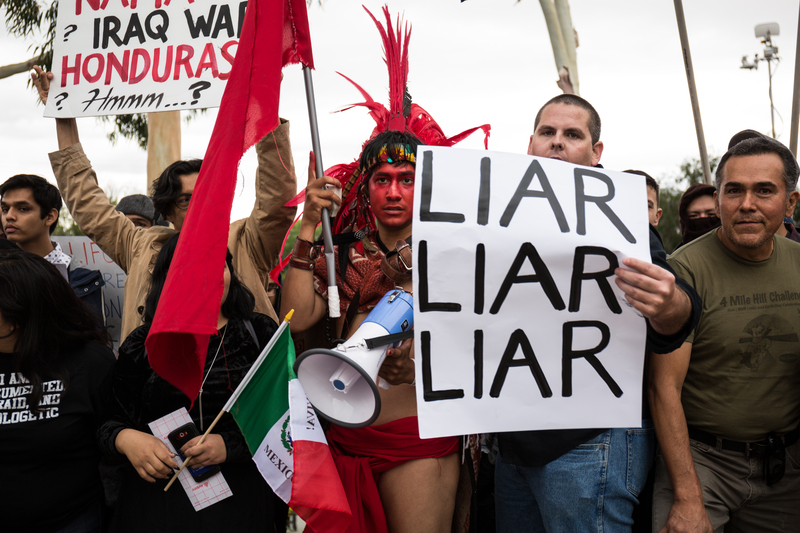 A man holds a Latinos for Hillary sign as he walks through the line of protesters outside of the Clinton event at East Los Angeles College on May 5, 2016. 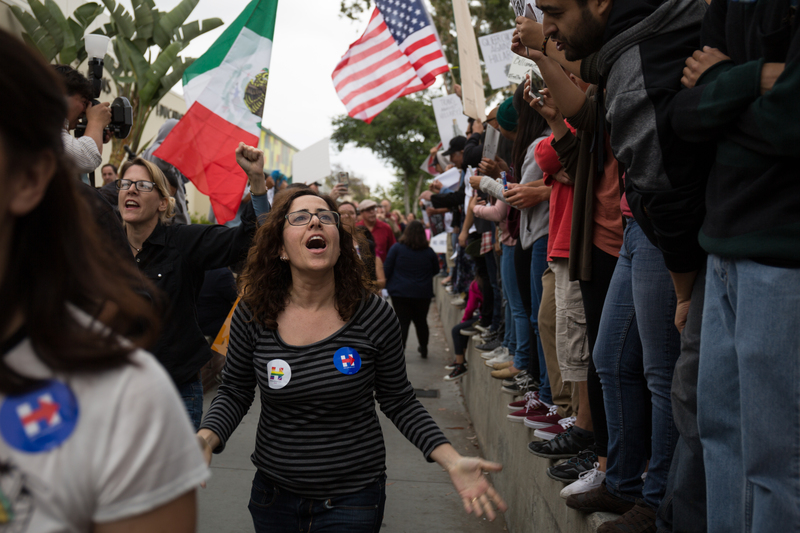 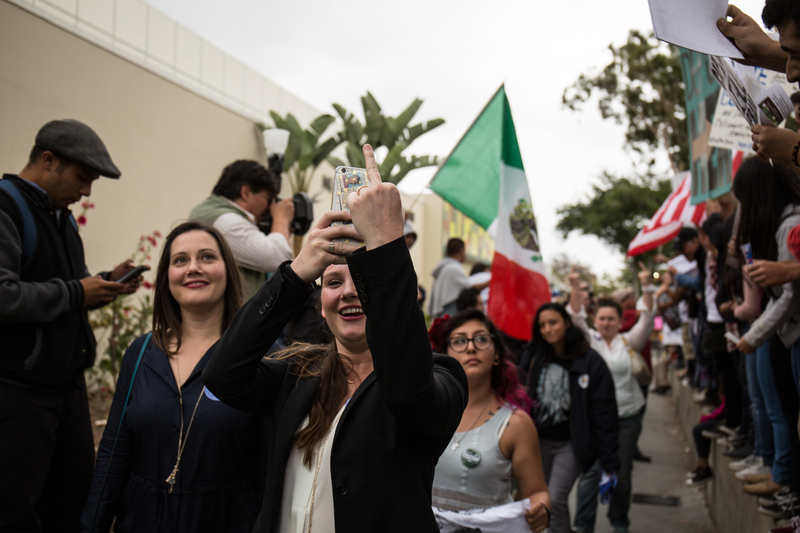 More Clinton supporters walk through the protesters as they are leaving the rally at East Los Angeles College on May 5, 2016. 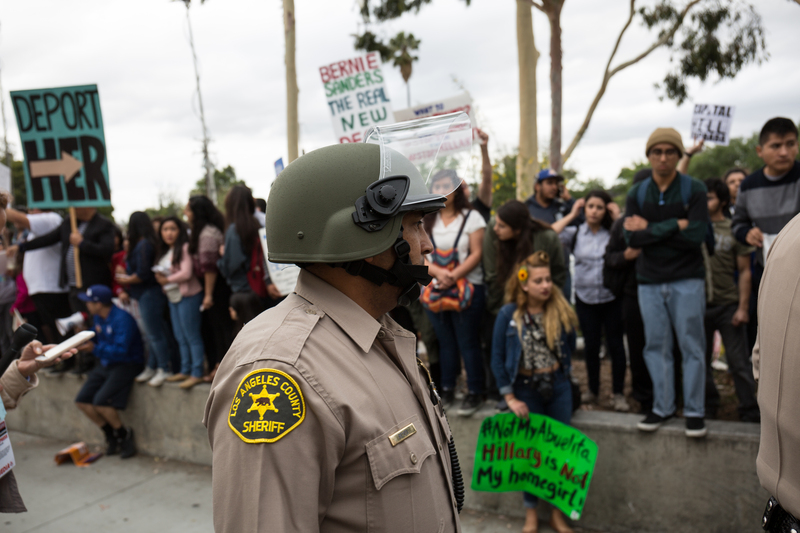 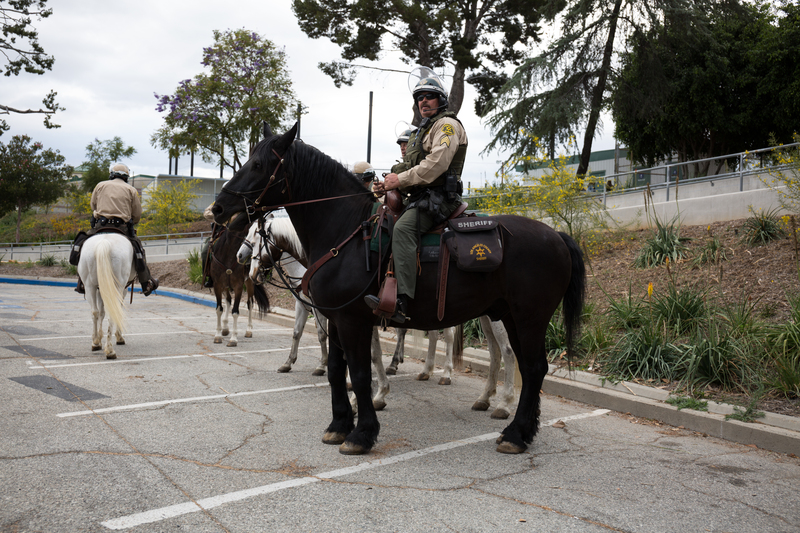 More police come in to clear the walkway outside the Clinton event at East Los Angeles College on May 5, 2016.